Dr Llewellyn MacMaster, Past. 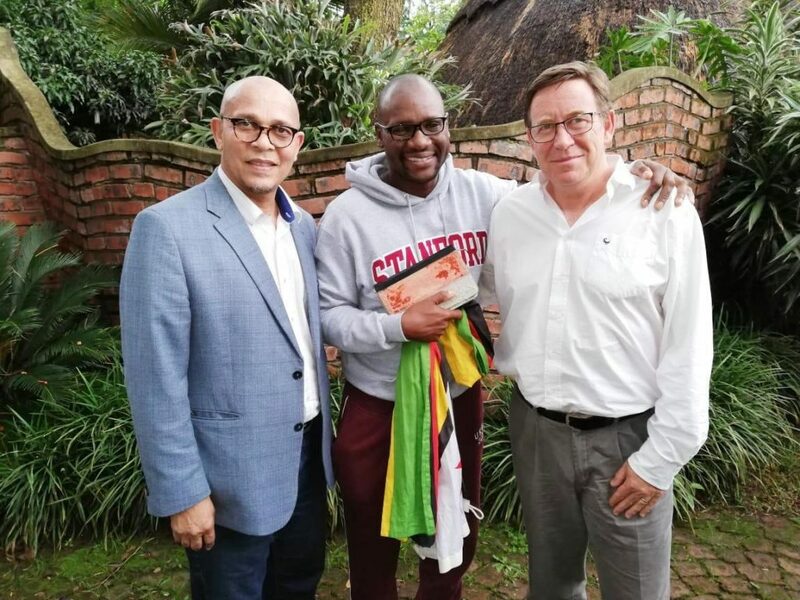 Evan Mawarire and Dr Braam Hanekom. Dr Llewellyn MacMaster and Dr Braam Hanekom (Centre of Public Witness) have just returned from Zimbabwe where they met with NGOs, academics, clergy and former members of parliament, incuding Dr Godfrey Kanyeze, Darlington Mayenze and Dr Ibbo Mendoza.